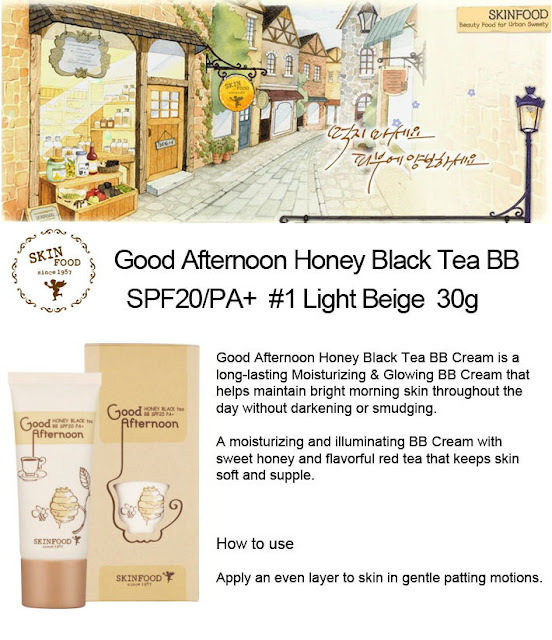 This BB Cream is one of the best I ever used! You must try it! Wonderful product - moisturizing and illuminating BB cream with sweet Honey and flavourful black tea, keeping the skin soft and nourished. Unfortunately, my last internet research shows me, that it's no longer possible to find it everywhere - it's out of stock or non-available, even on the main web page of SKINFOOD. Not available even in KOREADEPART, where I actually bought it. One place I found, but it's also out of stock - KoKo. 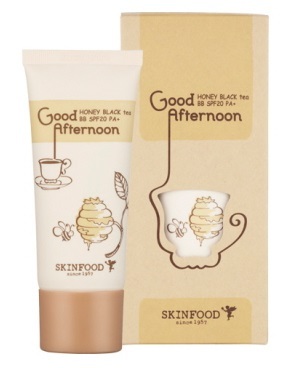 The product smells so yummy - actual honey with tea. It's very nice to feel it on your skin. 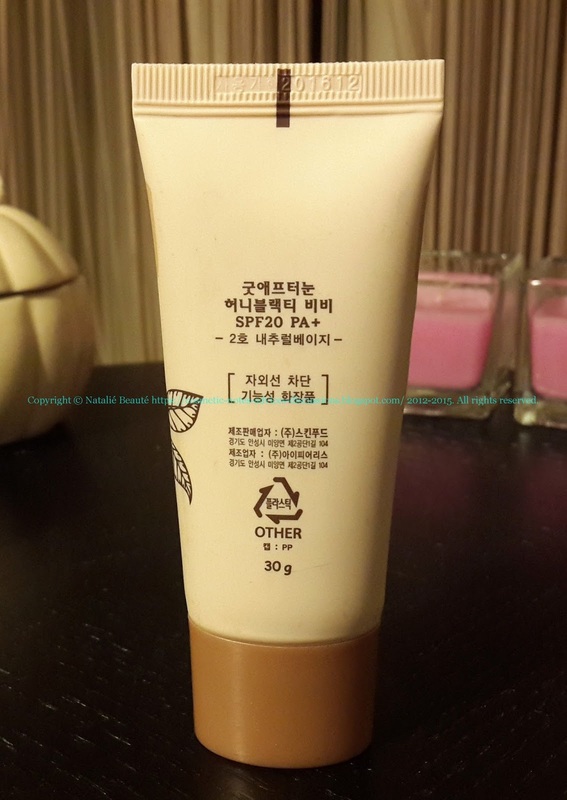 The skin reacts very friendly to this BB cream. 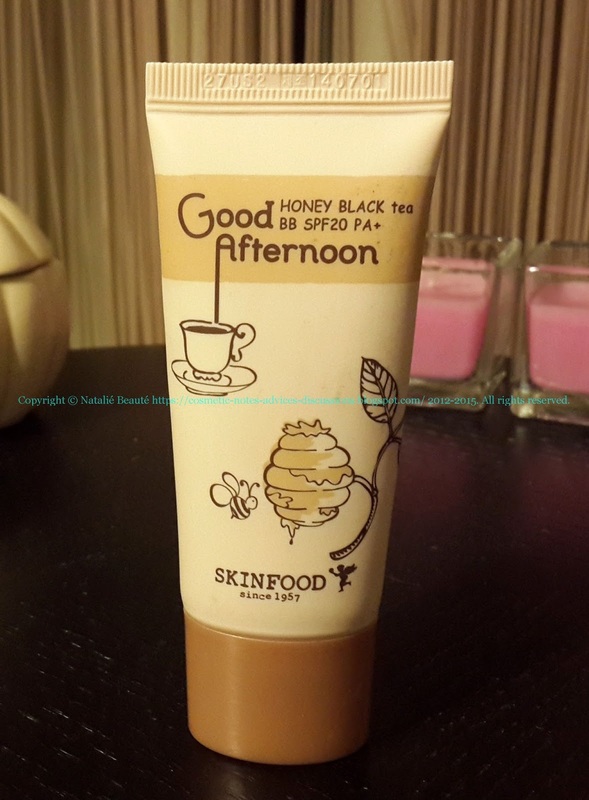 Your face feels very comfortable - nourished, soft, elastic skin, healthy tan. Coverage: around 50% - 70%. Covers well, but notice - it's not like those very thick products, which cover completely and give some impression of one artificial layer on your skin (than, all imperfections will be more noticeable, than before). 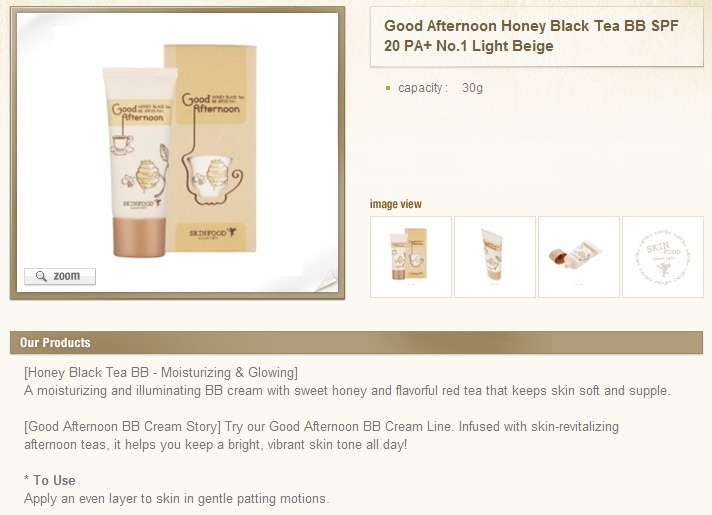 With Good Afternoon Honey Black Tea BB Cream, such bad effects can't happen. 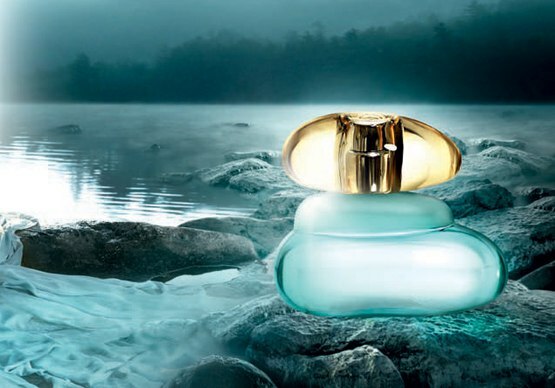 The product adapts very well to the skin and stays naturally. It doesn't make blackheads on your skin. CLEANING - much easy, than the other products called BB, CC, foundations and etc. It can be cleaned very well with every good micellar water. For example, I am using THE SAEM's GREEN TEA WATER (which I will write about soon). 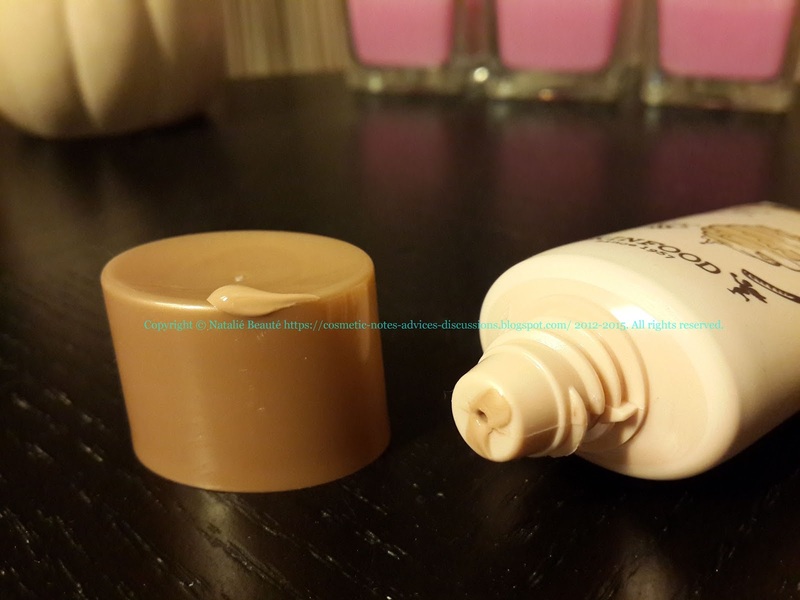 If you already have routine to remove BB cream with oil for removing BB creams, you can use your favorite one. 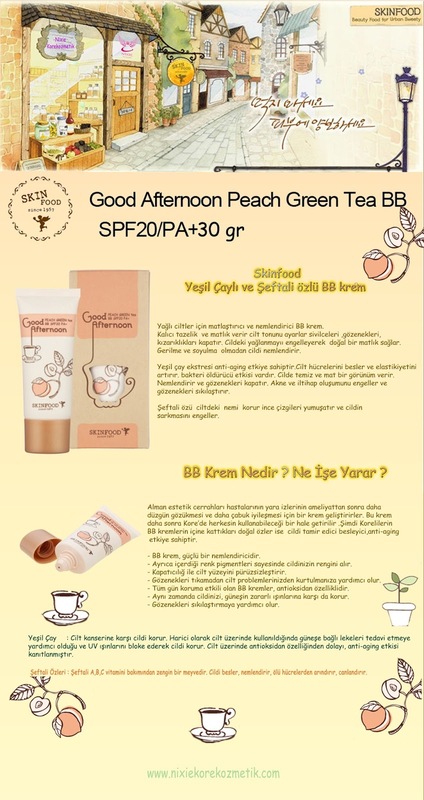 Wonderful product, making very good partnership with your skin. If it's being discontinued, according to me, this will be great loss for the cosmetics world. Really wonderful product! Very delicate, vely gentle to the skin, calming, easy for washing out. If you find it - you must try it! This is definitely one of my most favorite Korean Make-up Products!